← Publish 70, New Magincia Lottery, on Test Center this Wednesday. Back in February, Richard Garriott discussed plans for a spiritual successor to Ultima and we now have more details, including the working title you see. He is actually planning on two games with a focus on social networking. One is called Ultimate Collector, and the other, the one that’s of interest to us, is called Lord British’s New Britannia. The two games were unveiled at this week’s South by Southwest in Austin, Texas, which happens to be Garriott’s home, and where he is seeking funding for both games. 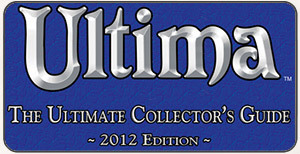 Ultima Collector is a social networking game with a TV show tie-in. The other is obviously based on Lord British. 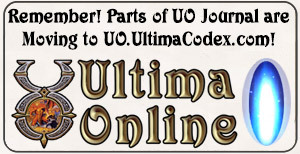 Garriott does own the right to use certain aspects of his past work with Origin, which was sold to EA, namely the Lord British character, and Lord British has appeared in other games outside of the Ultima and Ultima Online series. Unfortunately, very few details were released.